After the video leaves off, she was taken to a trauma center in Memphis (incidentally, the officer who beat her up was supposed to be the one to accompany her down there, but she objected to that). They didn’t want to treat her head wounds because they didn’t want to touch her weave, and she says she felt like they just didn’t want to touch her at all. In all, she suffered from lacerations and contusions on her head, scarring and bruising on her side, and permanent nerve damage on the left wrist from the handcuffs. After that, she was held in jail for several days until she could post bond. All this, for what? Because she was presenting the wrong gender, had the wrong skin color, and walking down the wrong street? Since the release of the video last week, Wells said that he received a “tremendous number” of phone calls from people who had gone through similar incidents, with McRae and other officers. Looking at the case history, he said that the department’s constant defense in the few cases that make it to trial is that this is just one bad cop. The excellent Renee at the excellent blog Womanist Musings has sent some love my way. I’m honored by her comments about my post and return the love several fold – she is a passionate writer who daily covers important topics related to women, and particularly women of color. My hat is off to you, Renee – keep up the good work. 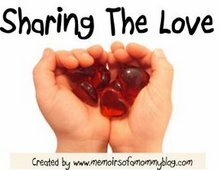 Crystal, the creator of Share the Love requests that the blogosphere help educate people about the importance of organ donation – her own son’s life was saved because of such a gift. I will add that for people of color, widening the pool of organ donors is critically important in order to increase the possibility of matching within our communities. Go give these fine folks a visit.